I hope you are having a good start to your weekend! but my card sure is! I LOVE this week's color combination at MFT Color's Challenge! And making cards just for fun makes my heart smile! but I also love my My Favorite Things stamps and dies! and I find myself reaching for them often. This stamp is Warmest Wishes by Birdie Brown, circa 2014! 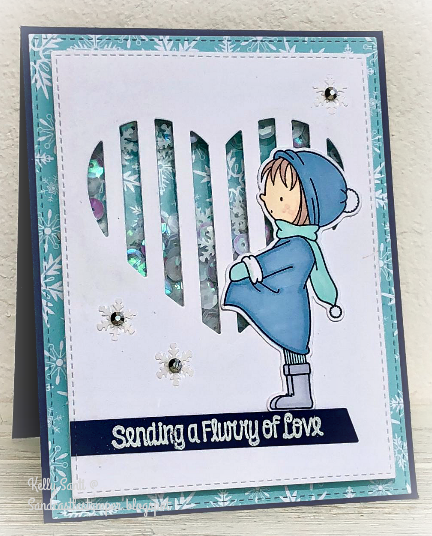 to create a shaker card - filling it with snowflake and iridescent sequins. popped a crystal gem in the center. create the cut out and added her to front with tombo. Sending you a flurry of love! This is so cute, Kelly! Love the design and what shaker fun, too! LOVE that cute little girl and your shaker card is just adorable with this clean but impressive design! The peek-a-boo heart is a delight as shaker frame, such clever choice!! 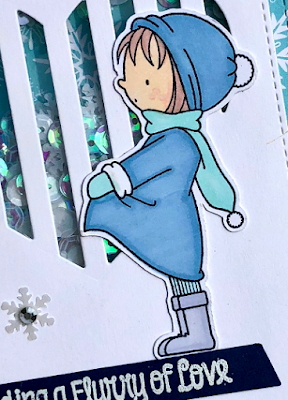 Love the design paper on the back and the tiny gems on the snowflakes are sweet details, I have to remember this! Oh how sweet- love this die as a backdrop to this sweet, sweet image! Beautifully done! 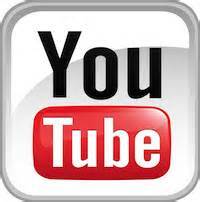 Hi Kelly, here I am☺☺...sorry for not being around on your blog. I do see your creations on Insta! You made such a wonderful card. Great coloring of the lovely girl and that shaker part 'behind bars' is awesome! This is such an adorable shaker card. Love the image. I have accept you for my christmas group. I have sent you a friendship request and I have also sent on facebook a message with the link for the 52 challenge week. What a precious shaker design, Kelly!! Love it!! CCEE1905: National Thank You Month! New blog series ~ Book 1: The Library Card! New Series: One Plus Twelve! 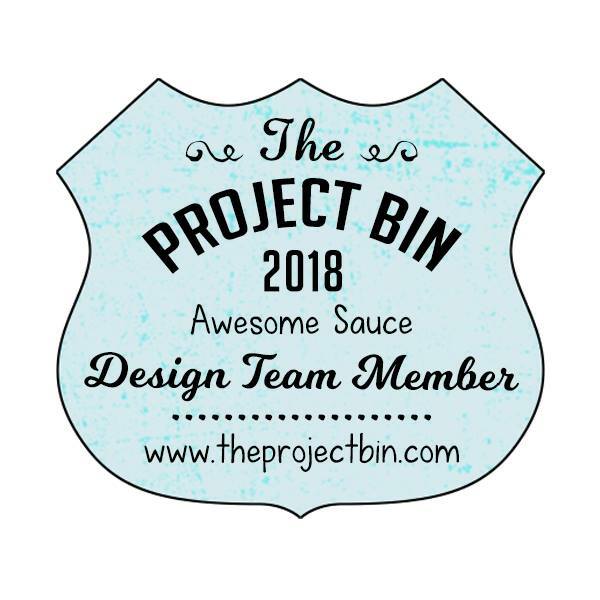 XOXO ~ The Project Bin gazes into the gallery! New blog series: Spot the Difference! 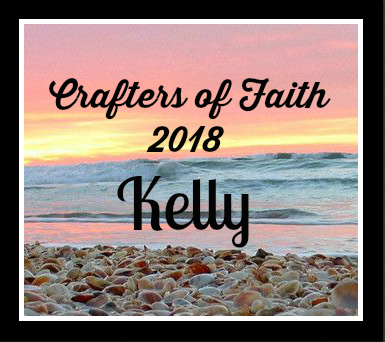 Crafters of Faith: No Rock like Our God! Ready, Set, GO ~ Tall and Skinny! TPB: You're greater than cupcakes! Introducing ........ my granddaughter, Alice! Blog Series Premiere: Christmas Cheer All Year! TPB: .... from my tomatoes! CCEE1901: Something new ~ Black Ice!